As we know that Facebook is second largest website beside Google, therefore we can't deny the importance of it. Facebook likes are very important for a website or a blog, because each like spreads your site to their circles and soon your site can be visible to everyone. 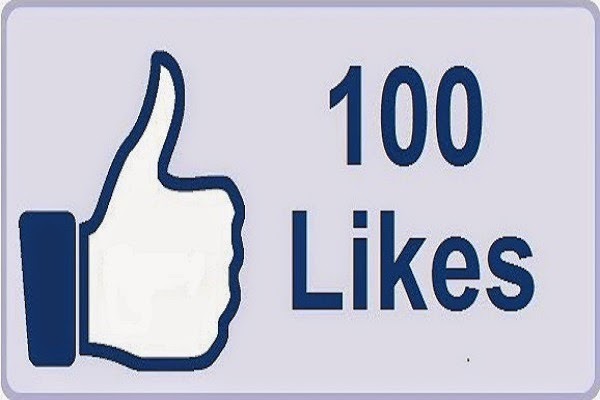 Today I am going to tell you about "How to get 100 likes within a week" These likes will be real users, no fake, or black hat techniques. On Facebook page you are not only restricted to blog articles, here you can share pictures, links, videos etc. I have seen bloggers, who are spending time in their pages to redirect some users to their sites. Every time millions of people are on Facebook pages, so you can bring tremendous amount of users to your blog, therefore try to add interesting and quality of content in it. You can get more likes by inviting your friends to like the page, even you can ask your friends to invite their friends to like it. You can attract people towards your page by posting convincing and motivating posts and picture on it, so that people will be interested in your page. Moreover, you can also use your other social media accounts like twitter, LinkedIn, Instagram, wattsapp etc to attract more visitors to your page. If you run a contest on your Facebook page, it will somehow increase your Facebook likes. Try to giveaway some offers to your visitors. Groups are another great platforms to interact with different people and drive some users to your blog. On Groups you can learn as well, because everyone is discussing on different blogging issues. For example, "Pro Bloggers" is a group of bloggers, where different issues have been discussed, through which you can learn a lot. If you participate in those groups and provide your intellectual skill or help other bloggers, then you can generate handsome amount of traffic and Facebook likes for your site. This is kind of "Win-Win Situation" where both the parties are getting better-off, because you are exchange likes with each other. I think you have received many inbox messages in your blog page, where bloggers are requesting you to like their pages, then they will like your page. It happened with me a lot of time that bloggers are send messages to my page for likes and most of them likes your page too. Now Facebook has launched its "Boost Up" feature for each and every pages and posts. You have noticed a small icon "Boost Up" on your Facebook page, from where you can advertise your posts with some dollars. You have seen on many blogs that bloggers are using "like to share Plugin" on their blogs. Through which, it compels a visitor to like your page and articles, because he want to get your stuff. Asking interesting questions can engage different users on your page, because Facebookies are love to comment on funny and interesting questions. If you ask some questions, then try to engage yourself with those comments. Facebook "Like Box" is my one of my favorite feature, because each like is extending your site to their circles and soon it will reached to maximum people. You should know " How to insert Facebook Like Box on your blog" because users will easily follow your blog. According to retail brands, if you post 1-2 times a day gets 40% more engagement than 3 or more times a day. According to retail brands, if you post 1-4 times a day gets 70% more engagement than 5 or more times a day. A study shows that, more users come at night on Facebook, because at night everyone is being free. If you want to engage your users, then you have to post at night and in early morning. If you post early in the morning, then this post will circulate till night, and you have to publish another post at night so it can circulate till morning. Social media is the strongest platform now a days to reach people around the globe. Based on this tremendous platform, there are many people who want to get in touch with the mass. Social media marketing is the best way in this regard. Man and women from various sectors want to increase their potentialities. That’s why they want to BUY FACEBOOK LIKES or to BUY FACEBOOK EVENT JOIN. But the fact is, these likes should be authentic and natural. So people look for trusted vendors like to SMMSELL.COM to increase likes, followers, subscribers in their facebook, twitter, youtube, Instagram, soundcloud, pinterest etc. platforms they use. Yeah people always look for trusted vendor to get some followers.